Some of the members of the ScienceFlows team have been working jointly through the Grupo de investigación en Cultura Científica (GICC) (Ref. UV-INV_GIUV-172923), which has its origins in 2002, in the University of Valencia. The members of this research team in Scientific Culture (Carolina Moreno, Ramón Camaño, Emilia Lopera, Myriam Martí and María Vicenta Corell) have joined another work team (María Guijarro, Vanessa Roger, Yolanda Cabrera and Lorena Cano) and have created the ScienceFlows group. 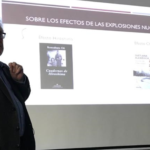 This team has established a permanent network of researchers in conjunction with the CIEMAT, along with the Autonomous University of Madrid and the University of Oviedo. 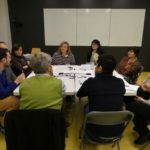 The members of ScienceFlows have just finished the project Analysis of the institutional campaigns on the Human Papillomavirus vaccination (Análisis de las campañas institucionales en el caso de la vacunación contra el Virus del Papiloma Humano), [CSO2011-25810], whose results can be found in the webpage, under the acronym of ANCAVA-VPH. 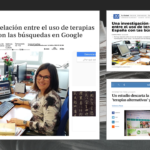 Currently, the whole team is developing a research project called ESTENAS, Study and classification of the natural, complementary and alternative therapies through media and social networks. Transference ideas and values applied to the social imaginary (Estudio y clasificación de las terapias naturales, complementarias y alternativas a través de los medios de comunicación y de las redes sociales. Ideas y valores de transferencia al imaginario social), [CSO2014-57778-R], funded by the Spanish Ministry of Economy and Competitiveness. The research lines of the ScienceFlows team are focused on the public comprehension and social perception of science, on scientific dissemination, on scientific journalism, on the history of science and on the contemporary scientific culture. The results of the research work performed by the ScienceFlows members through the different projects can be found in each of the sections of Scientific Production: CORICOVA, ANCAVA–VPH, ESTENAS, CONCISE and PERSIST_EU. From Scienceflows, we are currently working on the technical proposal for submission to the call for projects of the National R+D+i (2019-2002). We are also working on a proposal for the incorporation of a researcher into a Marie Skłodowska-Curie Actions Individual Fellowships program (H2020). The consortium of PERSIST_EU (Knowledge, Beliefs, Perceptions about Science of European Students)(2018-1-ES01-KA0203-050827) believes in the importance of students having a strong scientific background that would provide them with a high-quality skill set allowing them to make better every-day decisions on relevant topics related to, among other issues, their health management. Besides, PERSIST_EU is looking forward to promoting the improvement of educational pathways, pedagogies and assessment methods for educators. PERSIST_EU will produce an ICT tool to, quickly and immediately, assess the quality of training, including short seminars, MOOCs or official studies. At present, some studies seem to show that, the perception, attitudes, and beliefs towards science and technology-based issues are more related to “word of mouth” than any other personal characteristics (education, socio-economic level, cultural background…). Our initial hypothesis, built thanks to previous research, is that people adopt a position on, for example, vaccines based solely on opinions of people close to them, rather than through the view of the media. 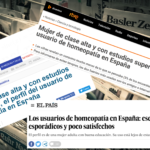 At the same time, previous research led by University of Valencia researchers has shown that students have different opinions, not entirely science-based, towards complementary and alternative medicines (CAM) partially depending on their educational background. In other words, the influence of education and media on the general audience is minimal if any. In some subjects such as vaccination, some diseases that were long thought to have been almost eradicated, recently re-appeared, due to the decrease beyond the limit of group immunity of the percentage of vaccinated children. Our question is: What has led young European university students not to protect their children? Previous papers have been published that state science-based training can change attitudes towards science. For example, in 2013, Itxaso Barberia et al. 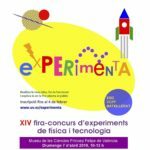 from the Departament of Fundamentals and Methods of Psychology, of the Deusto University, published an exciting work in which two groups of high school students, a control group, and an experimental group, underwent an experiment that allowed researchers to assess “superstition and false beliefs”. In PERSIST_EU we will develop an instrument to assess the quality of science-based training, specifically, focusing on how the student views on certain topics could change after undergoing said training. University students are the perfect target group for this project, especially given the transnational nature of the project. University students are used to learning habits, a scientific based environment, usually open to new ideas, learning ICT-based methods and more susceptible to change their views if presented with facts and new evidence. The topics of the training we will validate the platform with are of highest relevance, namely, climate change, vaccines, use of CAMs, and phytosanitary strategies and food safety. It will also provide PERSIST_EU with valuable information about the national, cultural, gender and socio-economic or even language-related differences among university students along the EU that will be summarised in a digital book. To improve the knowledge for science social appropriation of University students across the EU on specific topics of substantial social influence: climate change, vaccines, use of CAMs, and phytosanitary strategies and food safety. -Bruce V. Lewenstein. Full Professor of Science Communication and chair of the Department of Science & Technology Studies at Cornell University. –José Pío Beltrán. Professor of Research at the Spanish National Research Council (CSIC), at the Institute for Plant Cell and Molecular Biology in Valencia. –Annette Leßmollman. She became professor for journalism studies and science journalism at Darmstadt University of Applied Sciences in 2006 and joined Karlsruhe Institute of Technology (KIT) as head of the Department of Science Communication at the Institute for Germanic Studies. 2017, she became vice dean of the Faculty of Social Sciences and Humanities at KIT. –Lars Ulriksen. Full Professor of the Sociology of Science Education at the University of Copenhagen (Denmark) where he is the leader of the research group for University Science Education. –Stephan Lewandowsky. He is a cognitive scientist at the University of Bristol. He was an Australian Professorial Fellow from 2007 to 2012, and was awarded a Discovery Outstanding Researcher Award from the Australian Research Council in 2011. –Cissi Askwall. She has been the Secretary General of the Swedish non-profit association Vetenskap & Allmänhet, VA (Public & Science) since 2011 and she is a member of several international expert and advisory groups and Vice President of the European Science Engagement Association, Eusea. –Stephen Hilgartner. Professor of Science & Technology Studies at Cornell University. His research examines the social dimensions and politics of contemporary and emerging science and technology, especially in the life sciences. –Luisa Medeiros Massarani. She is coordinator of SciDev.Net (www.scidev.net) for Latin America and the Caribbean; and Executive Director of RedPOP, a UNESCO-sponsored network that works to engage the public in science and technology in Latin America and the Caribbean. Also, CONCISE is supported by different associations, with implications in the civil society as a Skeptical Associations (Círculo Escéptico, ARP-Sociedad para el Avance del Pensamiento Crítico, from Spain; and Associaçao COMCEPTORG- Comunidade Céptica Portuguesa, from Portugal), in a news agency specialised on science and technology in Spain (SINC), in the Pharmaceutist Associations (Farmaciencia), in a European Union of Science Journalists’ Associations (EUSJA), and regional associaton of science popularisation, Coordinadora Valenciana de Divulgación Científica. All these institutions and their members are prepared and willing to work with the different activities carried out in the framework of the Project. The debate about unconventional therapies has been opened in every European country for decades. These debates have two important cores in the construction of arguments: a) the incorporation into the governance of this kind of “unconventional medicine” through regulations and legislation; and b) the way in which this knowledge is spread through the media and the social networks, building an idea or imaginary around these therapies, which generate an attitude in the public opinion. On this social debate scene, we propose this research project, by adhering to the Spanish case, as a field of study. The main objective of the present project is to analyse what images the mass media and social networks create about natural, complementary and alternative therapies, and what values are spread to society on these unconventional therapies. Currently, through social networks, groups for and against these therapies are being generated, coinciding with a stage when the Administration seeks to regulate the selling of homeopathic products. Currently, there is over the social networks a great movement called Not without Evidence, Rational Alternative to the Pseudoscience-Society for the Advance of Critical Thinking, or more commonly called Sceptic Circle, which has emerged in academic forums against what it is considered to be therapies that have not proved their scientific evidence. On the other hand, we find the data derived from some studies, such as the White Paper on Homeopathy, elaborated by the Boiron Chair of Research, Teaching and Dissemination of Homeopathy, at the University of Zaragoza, in which it is estimated that in our country, about 10,000 health professionals (4,400 pediatricians, 700 gynecologists and 4,300 general practitioners), turn to homeopathy as a treatment, either as single or as a complementary option. Also, the unconventional therapies are part of the catalogue of qualifications that the postgraduate services from Spanish universities have been offering for two decades. With this atomised scenario, we set out this research project with the idea of studying and classifying the presence of unconventional therapies in the media. Through the study of how these therapies are represented in the media, we will identify issues such as: the name of the therapies; that is, scientific, pseudoscientific, para-scientific and / or unscientific; What kind of therapy has greater representation in the media? What aspects are highlighted about these therapies? or, What is the role of scientific evidence? The project “Journalistic construction of mental health and Spaniards’ attitude of the search and production of digital information” is the result of the I Social Research Grant “Media and Mental Health” convened by the Federación de Salud Mental de la Comunidad Valenciana and co-funded by the General Direction of functional diversity, attached to the Regional Ministry of Equality and inclusive policies through the programe “Action plans of social research on functional diversity”. The research period is from October 2016 to August 31, 2017. The study will be published in October 2017. Ulrich Beck awards great importance to the media work in defining the risks and their role in the construction of a social self-criticism. The food crises produced in Spain (such as the mad cow disease, the defective Coca-Cola shipments or the problems with the Belgian chickens), the natural disasters (such as floodings or the Cold Drop), the environmental disasters (Prestige), the risks of epidemics (meningitis or legionella) or the terrorist attacks, are some of the topics widely discussed by the media once the social alarm has been triggered. The objective of this project is to analyse the coverage that the Region of Valencia media produced in relation with issues linked with the information on risk. To do this, we have selected five newspapers: Levante-EMV,Las Provincias,the Comunidad Valenciana edition of the ABC,El Mundo and El País, as well as snippets of the news bulletins of the radio stations (Cadena COPE and Cadena SER) and of the news of Canal 9 television channel, with the aim of assessing how the risks in the Region of Valencia are informed about. The topics selected for the analysis are involved at a regional level, such as the legionella and meningitis outbreaks, the floodings, which take place every year in the region, and terrorist campaigns that reappear with the beginning of the tourist season. The analysis of the media will offer us an amount of data about the treatment of these risks and whether they are previously reported on preventive measures. This analysis will provide us with quantitative and qualitative data on the issues we are dealing with. It is not the same that a section heading (the upper band of the page that catalogues thematically the information referred to the same subject, also making the connection with other news of the same subject of previous days easier for the reader) says: “Food security” than “Alarm over the food infection”; in the second case, the risk perception is reinforced by the inclusion of the terms “alarm” and “infection”. If the citizens of the Region of Valencia perceive the risk to a greater degree than what the real risk supposes for the citizens’ security or for the environment, or vice versa, it has to be related, mainly, with the media impact, for the access to the current information is made through social media. And, in turn, the media broadcast the 80% of news that come from the communication cabinets of the public institutions. Therefore, we will interview personally the people in charge of the society sections in the media, who produce the highest amount of information dealing with the issues that are the scope of the research. Also, we will interview the responsible people of the institutional cabinets to know what the professional routines are, which are carried out when a risk issue for the society takes place. We will know the priority degree established by the institutions about the prevention of risks arising from their management. With the resulting data from the analysis of the media content that have been selected and the interviews carried out, we will propose a model about the communication of risk with the aim of encouraging the institutions and the media in the Region of Valencia to act with caution when communicating possible risks that may affect the citizens or the environment of the community. Finally, we will analyse other forms of communication of risks through the management of public institutions for health or the environment and for the development of new products and services. These other ways of communication of risks of public institutions and private companies have substantially changed the way to deal with the public. Currently, private companies convene meetings with consumers and organized groups of citizens and take note on their views and concerns, open bidirectional communication channels and, sometimes, even seek their advice more than their acquiescence. Sometimes, several strategic decisions have been overturned because of the public reaction of perplexity, discontent or anger, as it happened in Europe with companies that revised their agenda to launch genetically modified food. Studying these other ways of communication could offer us other points of view in order to approach risk issues and also, an interesting perspective to elaborate models of the public institutions’ communication of risks. The proposals of this project are object of interest by the European Commission in its White Paper about the European Governance, presented in July 2001, where it is expressed the need for institutions to have informative transparency. The main objective of this research is to analyse the institutional campaigns made from the Health Office in the regions of Madrid, Asturias and Valencia about the commercialization and inclusion in the official calendar (in girls between 11 and 14 years old) of the Human Papillomavirus Vaccine for the prevention of cervix cancer: HPV vaccine. The follow-up period of the analysis will begin from the first vaccinations in 2007 and will conclude in 2010, in order to examine what has happened during these four years of campaign. To do this, we will work on the collection of the propaganda and disseminating elements designed to launch the vaccination campaign (pamphlets, diptychs, posters, advertisements on press and TV, social networks conferences, blogs, Internet channels and in scientific dissemination platforms), and how the discourse that has been transmitted to the susceptible population to be vaccinated was elaborated. Likewise, we will examine the texts published in the printed, digital and audiovisual dissemination channels in each of the autonomous regions in relation with the vaccination campaigns, working from the qualitative analysis of the content. The selection of the three autonomous communities will allow us to compare the data obtained in each of them and to be able to verify the strengths and weaknesses of each autonomous institutional campaigns. In the case of the Principality of Asturias, it is important that this region is involved in the selected sample because in 2008, Cristina Pérez, (member of the research team of the Hospital San Agustín in Avilés), carried out the DNA analysis of the virus present in tumours in order to know whether in Asturias the women with cervix cancer presented the kinds of HPV that the vaccine covers. The sample of the study covered all the cases of the cervix cancer that had taken place in Asturias form 1998 to 2008. The aim of the research was to check whether the geographical variability had any influence on the vaccine effectiveness against cervix cancer. The Region of Valencia was the epicentre of some “negative” news in relation with the vaccination of two girls who, after the inoculation of the second dose, had to be hospitalised in the Hospital Clínico Universitario of Valencia. After these two cases in Valencia, the Health Office informed about what it had happened to each autonomous community and decided, “taking into account the precaution principle”, to prescribe the temporary lifting of the administration of the suspicious batch. On the other hand, Madrid, unlike the rest of the autonomous communities, has managed to reduce the cost that the vaccine supposes for the Social Security because it was decided to convene an auction for the pharmaceutical enterprises to offer a more reduced price. They achieved to buy it by 92€, while the rest of the autonomous communities will pay 103€ per each dose. The three autonomous communities selected for the representative sample offer some aspects of great interest that could be applied to the rest of the autonomous communities. In relation with the research hypotheses that we propose, the first one is that the institutional campaigns have not obtained any advantage of the commercialization of this vaccine to carry out a sexually transmitted diseases prevention campaign. Nor have they used the usual channels that the “digital natives” use to be informed. The second hypothesis is that the inclusion of the vaccine in the official calendar was coincident with a period of time when there was certain controversy about the vaccination campaigns in relation with another issue that appeared simultaneously as it was the H1N1 flu. This effect of general distrust among population has inferred that the perceived risks by the vaccination were higher than the perceived benefits. It could be due to a poor management of the information that is delivered from the institutional agencies. The third hypothesis is that in the social imaginary the prevailing idea is that the pharmaceutical companies have spurious interests in the commercialisation of the HPV vaccine and so, therefore, there are some doubts in relation with the real need for the vaccination of 11-years-old girls. These research starting hypothesis are expected to be verified or refuted once the study is concluded. The research will finish with the results of all the elements analysed (discourse analysis, content analysis, interviews to agents involved in the health institutions), and with the elaboration of a model of right practices in the information spread about the institutional health campaigns. In countries such as the United Kingdom, the strategy to introduce the vaccine has been, firstly, the sociological analysis, through several surveys addressed to the population (in order to establish profiles which agree or are against the vaccination) and, secondly, the tactics to modify the attitudes of those parents who were worried about the side effects. Focusing the research on such a specific issue will allow us to perform an analysis of the subject of study rigorously and precisely in order to extrapolate the results to other situations in relation with the public health campaigns.